Hei-ock Kim put on a great event Saturday night – Rick Halsey and Nan Sterman showed off the recent PBS episode about California Chaparral and talked about fire, gardening and the importance of local natives. 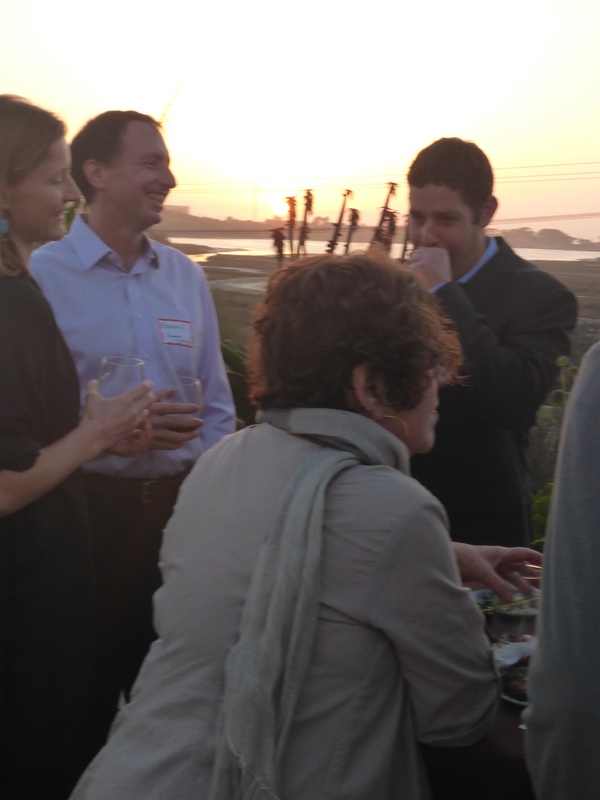 We had around 80 people in attendance, including Peder Norby, the San Diego County Planning Commissioner who brought wine from grapes grown in his own garden. A fun time – the food was good and the site, Agua Hedionda Discovery Center was beautiful and evocative. Thanks to all who made this a successful event. 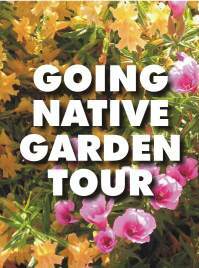 The San Diego Chapter of CNPS and the Garden Native organization have teamed to gather to bring forth a 2014 Garden Tour. 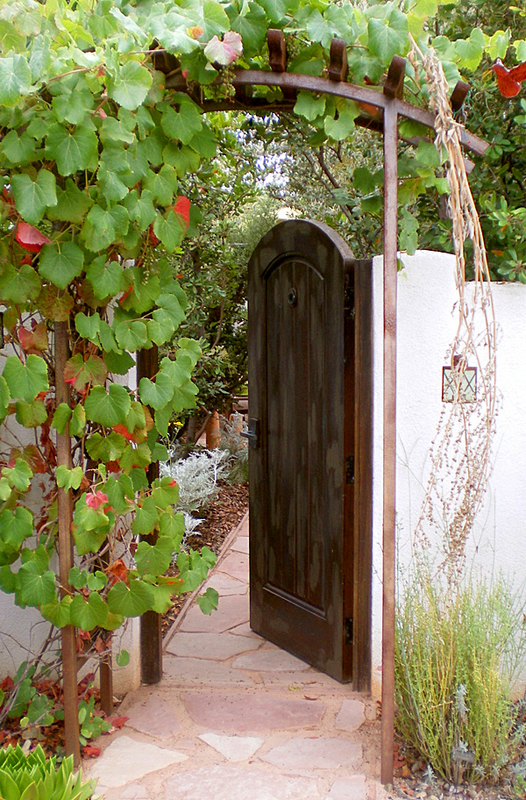 The Garden Native Tour presents all regions of San Diego County on a rotating basis. This year, they will highlight homes and public gardens from the North County area. Enjoy these and other fun presentations in the gardens during the Garden Native Tour! 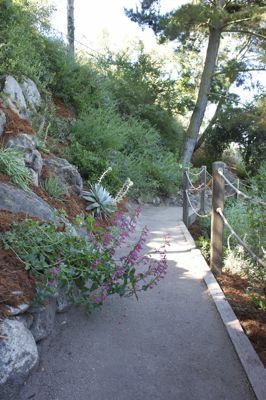 • “Garden Origins: Behind the Tour” by Greg Rubin, owner of California’s Own Native Landscape Design. 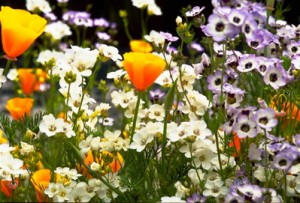 • “Native Plant Gardens for Families and Pets” by Kristie Orosco, Indigenous Ethnobotanist, Native Kumeyaay from The San Pasqual Band of Indians. And, don’t miss the fundraiser on March 15th. Click here for more information on the fundraiser. 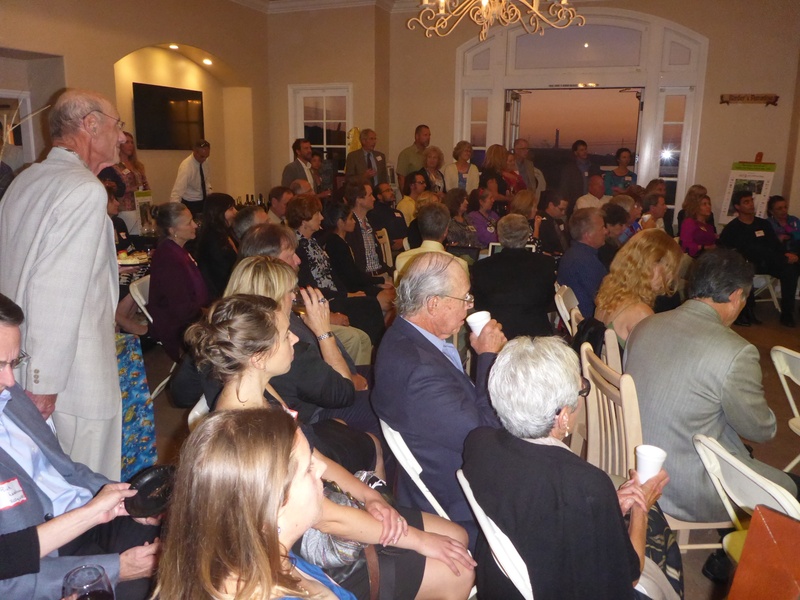 Registration for the Sunday, May 4, 2014 Bringing Back the Natives Garden Tour is now open! This year’s tour will fill; register now to reserve your place. A variety of bird- and butterfly-friendly, pesticide-free, water conserving, low maintenance gardens that contain 60% or more native plants will be open on Sunday, May 4, 2014, from 10 a.m. to 5 p.m. at various locations throughout Alameda and Contra Costa counties. More than 40 garden talks will be scheduled throughout the day. Music in the Gardens -This year, to celebrate the Tenth Anniversary of the Tour, a Music in the Gardens feature has been added. Come and hear the Appalacian dulcimer, lutes, flutes, banjos, guitars, Renaissance and folk music, and the a cappella Berkeley Community Chamber singers. Free, of course! See the garden guide for details. Plant Sales – Native plants will be sold at numerous locations over the course of the week-end of May 3 and 4 during the Tour’s Native Plant Sale Extravaganza. Workshops – In addition to the Tour and plant sale, a series of workshops will be offered this spring. Learn how to sheetmulch your lawn away, or how to design a native plant garden that contains color throughout the year. Judy Adler will be leading three tours of her amazing Walnut Creek garden (think chickens, pond, rainwater harvesting, native plants, fruit trees, seed collection, and more!). Volunteers are needed to spend a morning or afternoon greeting tour participants and answering questions about natives. Complete the Volunteer section of the registration form if you would like to help out this year. Benefits to volunteers include invitations to Garden Soirees, in which tour gardens are open to hosts and volunteers; a pre-tour meeting with the owner and private tour of the garden you will be staffing; a guaranteed tour reservation for the half day you are free; a Bringing Back the Natives Garden Tour t-shirt, and, perhaps best of all, heartfelt thanks for helping to educate the general public about the many pleasures and benefits of gardening with California native plants. Prior to signing up to volunteer, browse the gardens to choose the garden you would like to be assigned to. Click here for more information on volunteering. Donations – This year, please join your fellow guests in supporting the Bringing Back the Natives Garden Tour. Given decreasing public agency support, we find it necessary to turn to Tour participants to help keep the tour going and to keep it free for those who cannot afford to pay. Please follow the instructions in the registration form to make your contribution, or you can donate here. Facebook – “Like” the tour on Facebook! This spring the Garden Tour’s Facebook page will run articles such as “What to do in your native plant garden each month;” and “What’s in bloom now? ;” describe the spring workshops; feature specific gardens; show you before-and-after garden photos; and just generally provide a behind-the-scenes look at the Bringing Back the Natives Garden Tour. Know of any other native plant Garden Tours coming up? Let us know. CNPS Orange County sponsored, hosted, organized (whatever you want to call it!) a Native Garden Tour on May 8, 2010. 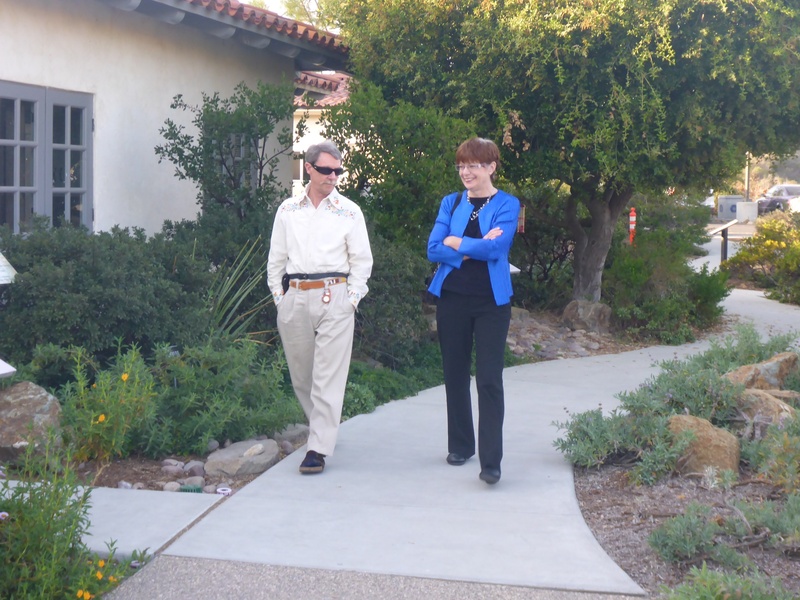 The tour was very well-attended (numbers are coming in) and the weather was Southern California perfect! After hosting duties at one of the gardens, I was able to visit 5 gardens out of 11, and here are some photo highlights from my day. Date: Saturday, April 17th, 10 a.m.- 4 p.m.